Fall is my favorite season of the year for many reasons. Number 1: Aggie Football (okay, this may be Matt’s number 1, but I’ve gotten a whole lot more interested in football since marrying him). 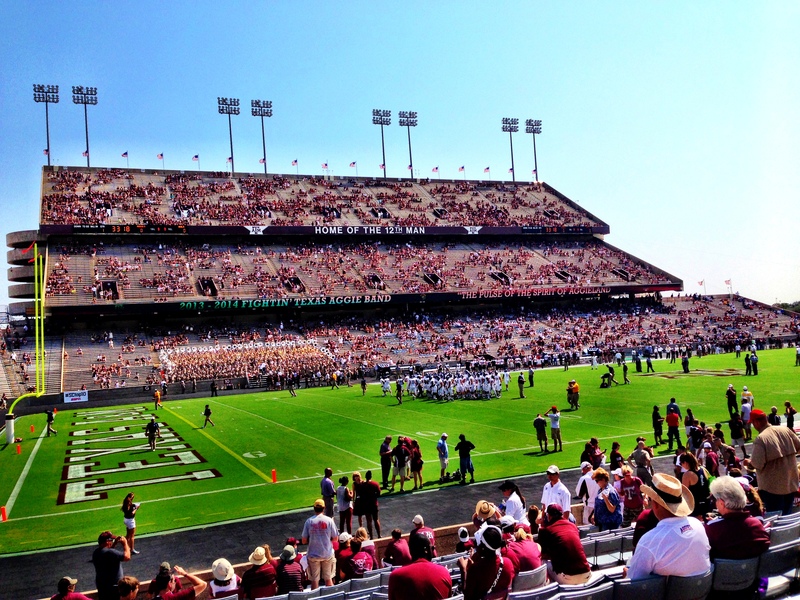 Yesterday we even went to College Station for the A&M vs. Auburn game. Tough loss for us Ags, but great weather and lots of fun! 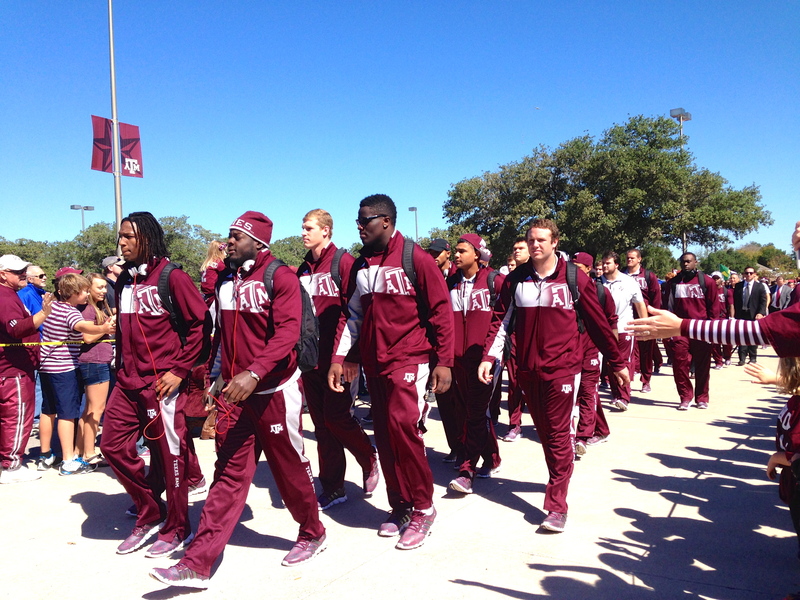 A&M football team walking into the stadium. Number 2: Cooler weather. Texas is known for our brutally hot summers, so when we start getting some cooler nights and mornings come October, we all get really excited. Number 3: Candy corn. Need I say more? Number 4: Pumpkins!! I LOVE pumpkins! I love decorating my house with pumpkins, and I love eating pumpkin. 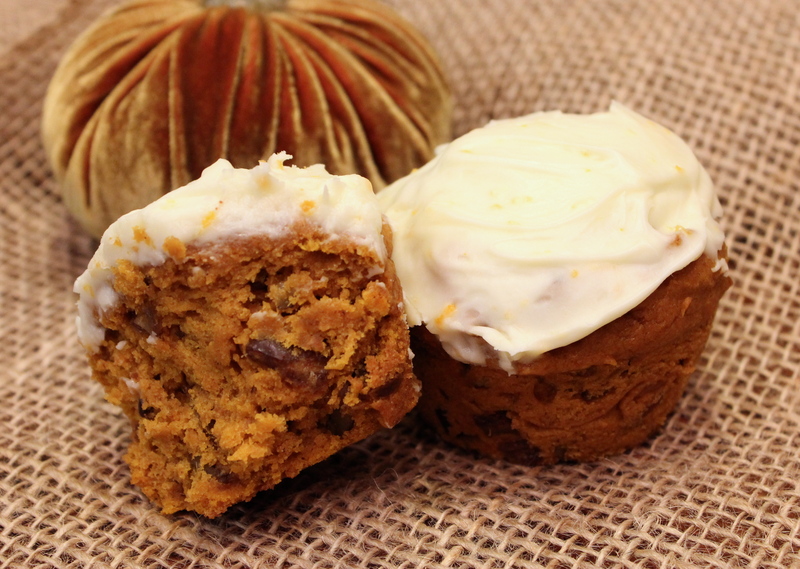 Here’s just a few of my favorite recipes: pumpkin bread, pumpkin muffins, pumpkin rolls, pumpkin whoopie pies, pumpkin butter bars, pumpkin butter granola, pumpkin oatmeal …you get the idea. Spoon batter into muffin cups almost to the top. Bake for 20 minutes at 350 degrees or until a toothpick inserted into the middle comes out clean. 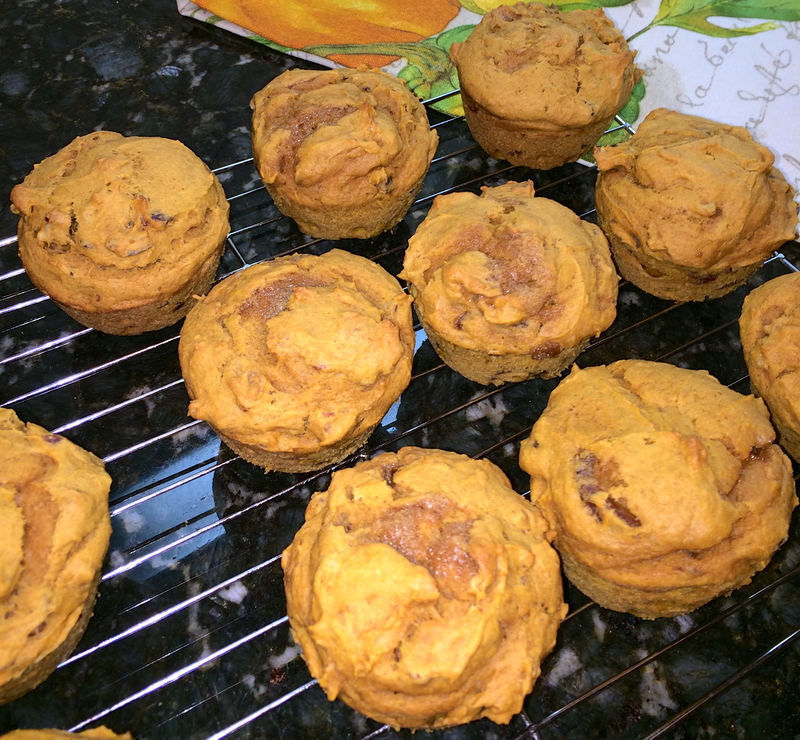 Since my mom knows how much I like pumpkin, she decided to make these pumpkin yumkins just for me (okay, I let Matt eat some) this weekend. The recipe is from one of our favorite cookbooks: Pastry Queen: Royally Good Recipes from the Texas Hill Country’s Rather Sweet Bakery & Cafe by Rebecca Rather. Everything in this cookbook is just like the author: down-home yet grand, and familiar yet one-of-a kind. From Texas Big Hair tarts to fried pies to cookies, I’m ready to try just about all of Rather’s recipes. 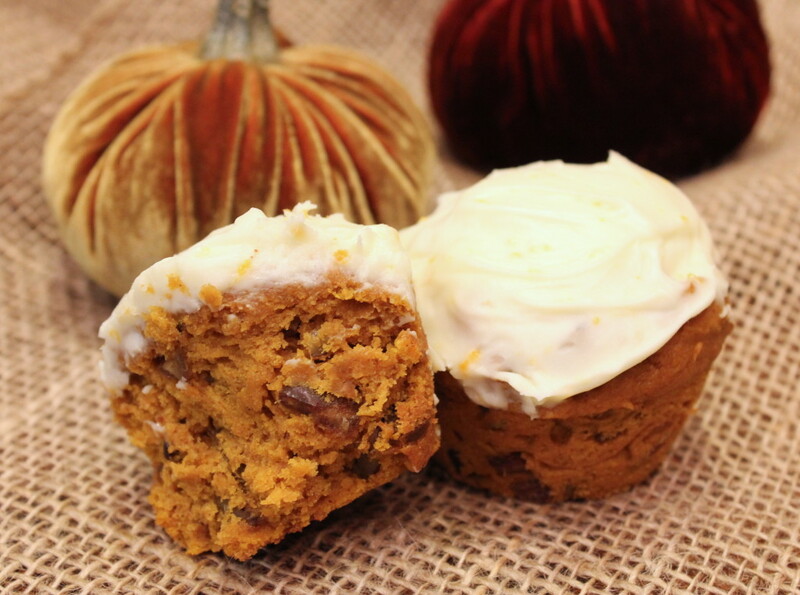 Just what is pumpkin “yumkin” you ask? In Rather’s cookbook, she describes having found this recipe in her grandmother’s things but couldn’t ever remember making them. The unusual name caught her (and our) attention so she decided to make them. 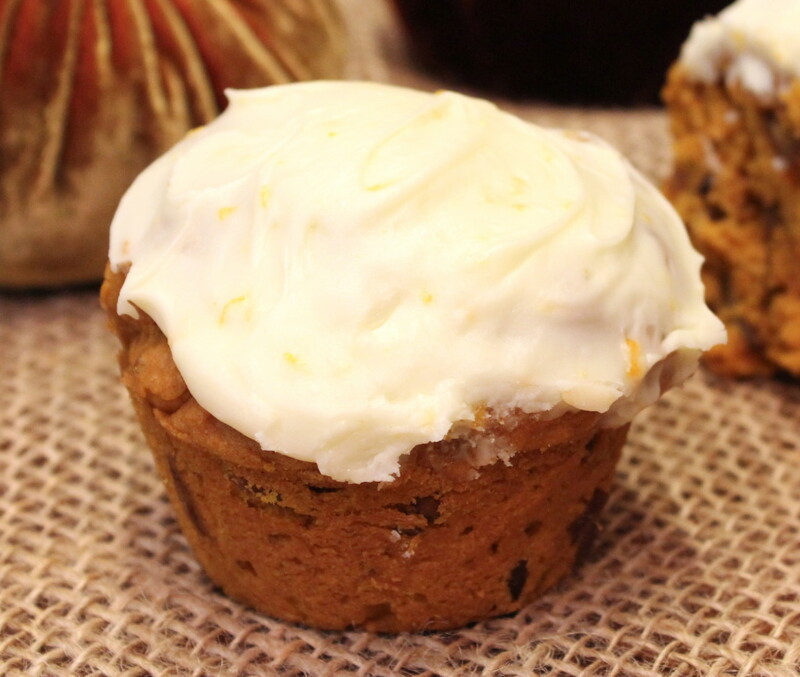 It turns out, the yumkins are a cross between a muffin and a cupcake, all dressed up with orange-flavored cream cheese frosting. When Dad brought these over to us last night at 10:30 pm, I only intended on eating a bite but that didn’t happen…. 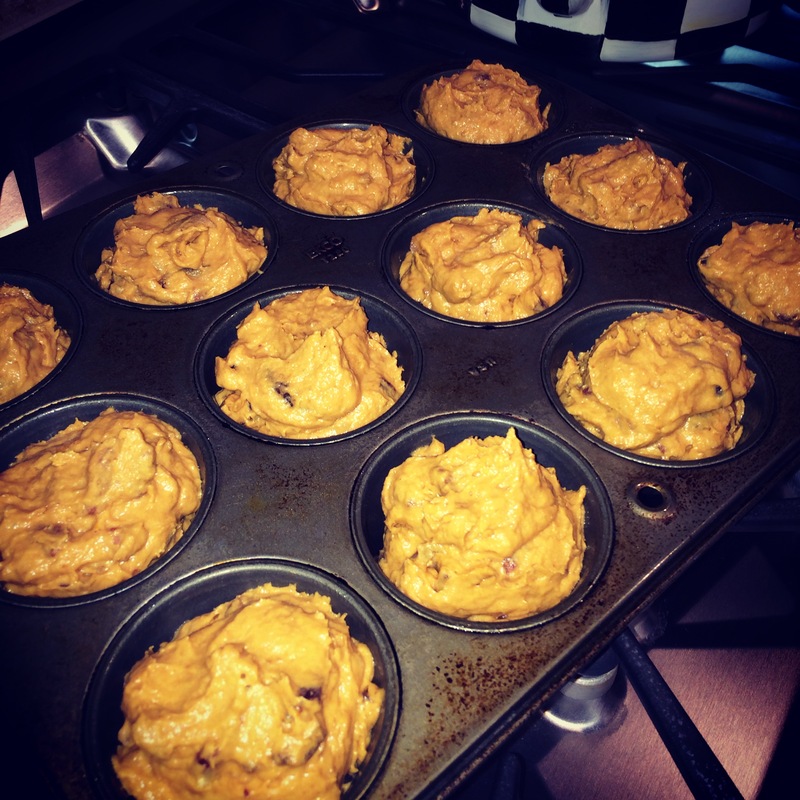 This is probably my all-time favorite pumpkin recipe ever!! 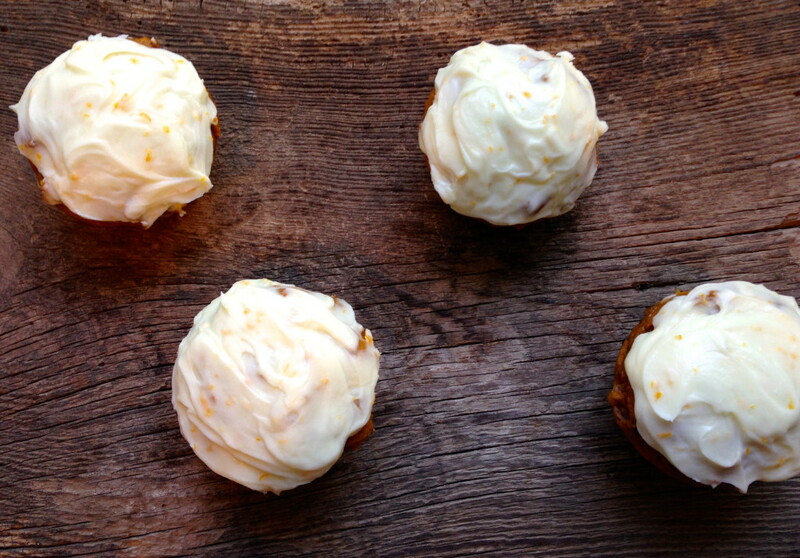 The orange-flavor cream cheese frosting is genius and pairs perfectly with the yumkins. What may surprise you is that there are no spices in this recipe: no pumpkin spice, no allspice, no cinnamon and no cloves. 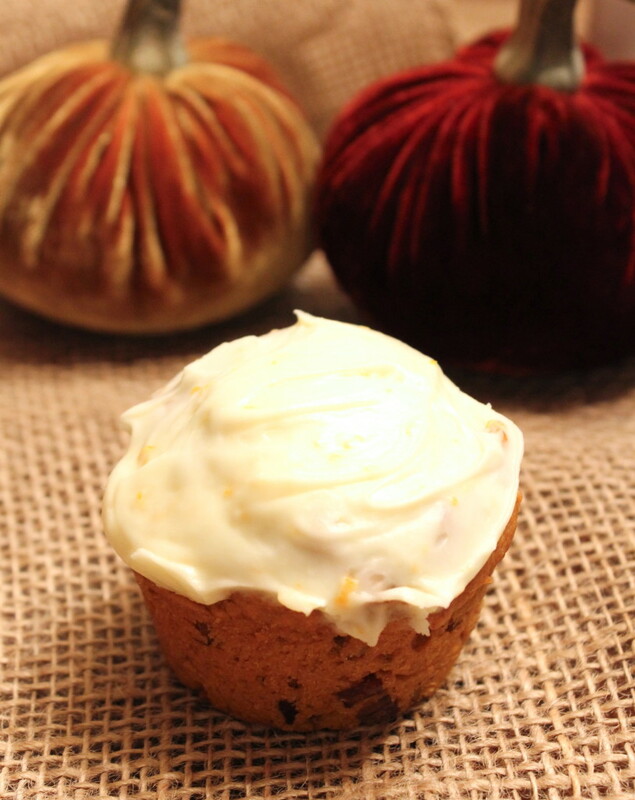 However, the can of pumpkin, brown sugar, dates and cream cheese frosting create the perfect fall recipe to serve during the holidays. Enjoy! Let muffins cool in the pan for 5 minutes, then transfer to a wire rack to cool 30 minutes before frosting. Coat the tops of the cool yumkins with cream cheese frosting and enjoy! Another one up close. Don’t they look good? TO MAKE THE YUMPKINS: Preheat the oven to 350 degrees F. Arrange the nuts on a baking sheet in a single layer and toast for 7 to 9 minutes, until golden brown and aromatic. Cool the nuts, and then coarsely chop. Grease 12 standard-size muffin cups with butter or cooking spray. Using a mixer fitted with a paddle attachment, cream the butter and sugar in a large bowl on medium speed about 1 minute. Add the egg and beat on medium speed for 1 minute. Add the pumpkin and vanilla and beat until combined. Stir in the flour, baking soda, baking powder and salt. Stir in the dates and pecans. The batter will be thick. Spoon the batter into muffin cups just to the top. Bake about 20 minutes, until the muffins are firm to the touch or a toothpick inserted into the middle comes out clean. Cool the muffins in the pan for 5 minutes, then invert them onto racks to cool for 30 minutes before frosting. TO MAKE THE FROSTING: Using a mixer fitted with the paddle attachment, beat the cream cheese and orange juice on medium speed about 20 seconds. Add the powdered sugar ½ cup at a time, beating until incorporated after each addition. Stir in the orange zest. Coat the tops of the cooled yumkins with frosting. Do no wrap until the frosting has set, about 45 minutes. Well-wrapped yumkins will keep about 3 days at room temperature. One Response to "Pumpkin Yumkins"
These look great! I’ve not heard of a yumkin before but I love the idea of a cross between a muffin and a cupcake!